« 82 - What’s it Worth? I was asked by Philip Chan on 20090930 for an essay on the motivations of parents to buy schooling in an email of 0929. He distinguished between Western and Eastern parents, by which we both mean (think of) British and Chinese. I publish this here in the hope that it will cause some folk to write to me in disagreement (complete or partial), with opinions worth mulling over and with content worth adding. In no way is this a complete offering but it is as far as I got with the idea at the time and I look for some support in taking it further. ii) They have previous experience. They did this themselves or have another children at such a school. Such people tend to send their child to the same alma mater as they went to, with good reason. Best, they already know and trust the product personally. iii) Their friends (fellow parents) are doing this and they are following suit. This is a very bad reason and worthy only of sheep¹. iv) They perceive that the product on offer is better than the state offering. This may or be not be free but in Britain it has already been paid for through taxation. There is a lot of evidence that a British independent school will produce better results than a British state school but such a comparison tends to assume that the intake is the same. Not so, as the parents of the independent schoolchild have thought about this, so are (i) relatively rich, (ii) probably well educated and so (iii) the child is already headed for a high position on the academic tree. v) They have studied the situation more fully (than their Chinese counterpart), so their choice is not based upon perception but more nearly upon fact. The ‘value-added’ scales show that independent sector students show remarkable improvement over state school students. That is, a child within the state sector would be expected to reach state P and the independent student reaches past that, to point Q. This is despite the fact that State schools are better funded (they will have distinctly better computing facilities, for example). Staff at independent schools are better educated and have a higher subject knowledge than their State counterparts—and are vastly under-skilled at classroom management, crisis control, and social service work. (i) The school has a reputation as the best in the area. Whether this is suitable for the child or whether the child is suited to the school is irrelevant. The measure of reputation lies with the parents and with their friends. (ii) The school offers something different that avoids the shame of being refused by the best in the area. That may be a ‘foreign’ programme or some other speciality such as language or a technical skill (sport, IT, music). Thus ‘best’ is achieved, coloured a little by ‘different’. (iii) When the local ‘best’ is not available and when the local ‘best’ is perceived as not good, more distant alternatives become attractive. Again, ‘best’ applies. 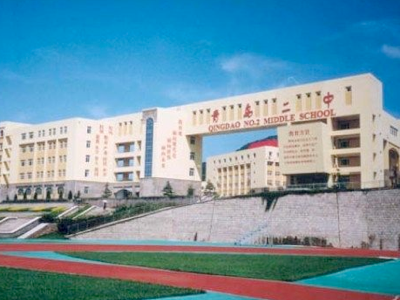 A boarding school is a reflection in China of distance more than benefit. An extended curriculum is different but, for parents who have not experienced the same education as being purchased, this is difficult to comprehend when it is dramatically different from their own experience. However, just as in the west, they are rapidly convinced when their child exhibits behaviour they like, such as accent, knowledge achievement and attitude. Boarding school offers advantages and disadvantages. It takes away daily travel time; it adds enormously to the life experience and tolerance of the student; it subtracts from the family tradition but it relieves busy parents from failing in their perceived duties. It builds a level of self-confidence and self-reliance that is hard for parents to match at home but it sometimes displaces family relationships. From the educational point of view, some boarders excel and some merely survive. That is a feature of the child, its previous experience and the life of the school. Overseas boarders more often are dilatory in their behaviour (my observation) but this can be modified by the behaviour of the boarding staff. Cultural perceptions obstruct this dramatically and the successful school in this regard understands the home culture and works with it, not against it. [PMC doesn’t do this, to my everlasting embarrassment, not helped by the interests of the Chinese students, who don’t want to admit how lazy they are being. [Correction: it didn’t happen while I was there; I’ll accept a share of responsibility for that]. An extra-curricular programme extends the children in other areas than the academic. That gives the westerner no problems as they have a culture with extensive leisure activity, with recognition that other experience enhances ones life and that a pastime may well turn into a career. The Chinese does not view school in that way and sees qualification as the be-all and end-all…. Ideas for development, please !! 1 Sheep have good reasons for flocking (see) and chaining (following nose to tail) that make sense in their environment. Humans, I have always felt, should be using their brains (good typo; suing their brians) to establish their own reasons for doing things, even if that results in them doing the same as everyone around them. The test question is “Why are you doing this?” and the unacceptable answer is “Because everyone else is”. 2 As ever, this is my deciphering of what I see, based on what is rarely explained to me when I can persuade any Chinese to forget face and try to explain to me what is occurring. So my list of imperatives is based on those conversations and my own observations, I could easily be putting a false interpretation of what I see, but I have consistently gone for the simplest explanation that fits. 3 I know I’ve written it. Honourable mention to the first person (not I) that tells me which it is. It might be .../University/Lists... At the time of writing I was thinking that ‘best’ has to be challenged with “Best for whom?” By ‘best possible education’ I am hoping the result is not going to the most famous place that will accept the student but is the place (one of the places) where the student can be successful in gaining a fair degree, and picking up a range of skills more than they expected – maybe that is what ‘best’ is: better than expectation and understood by reputation to be good — the best they can succeed at. Is it value for money? Mostly, no; it is instead going to the most famous school available with the resources to hand—which same include using all forms of leverage. The children I interview to come to the QD Centre keep on telling me that No2 is the best school in QD. They mean the most prestigious.